Susan Bonilla on BART property. STATE SENATE | DISTRICT 7 | For the Democrats Susan Bonilla and Steve Glazer, the next stop in their hard-fought State Senate special election is every BART station anywhere along the line from Dublin-Pleasanton to Pittsburg-Bay Point. On Monday, both campaigns charged each other with illegally campaigning on BART property. 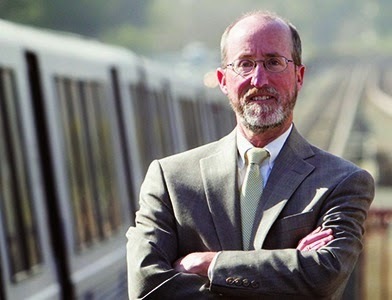 Glazer’s campaign said Monday morning it had sent a written complaint to BART Board Chair Thomas Blalock alleging instances of electioneering by labor union members on BART property. Glazer is also asking for a BART investigation into the charges. his Assembly race last year. Glazer said his stance against the right for transit workers in the Bay Area to strike is unpopular with rank-and-file union members. “But that is no excuse for allowing this illegal conduct at numerous BART facilities,” he added. Later, Susan Bonilla acknowledged employees of BART may have been displaying her campaign signs on BART property, but she also accused Glazer of doing the same. The campaign noted Glazer has used images of himself taken on a BART platform for use in his campaign materials and alleges he, too, has electioneered on BART property in the past. “These parties should immediately stop using BART property for electioneering, including candidate Steve Glazer who has repeatedly used internal BART property for self advertising,” Bonilla said in a statement. However, with just a week before Election Day, this particular change-of-subject by Glazer’s campaign that hopes to stoke latent angst in the district over the BART strikes of 2013 is a topic they believe turns out the moderate to conservative base in the Seventh District. Posted in BART, BART Board of Directors, BART strikes, complaint, Democrats, electioneering, SD7, SD7 special election, Steve Glazer, Susan Bonilla, Thomas Blalock. Bookmark the permalink. Glazer is a consultant to the Corporate Pacs. That's where he gets almost all the money supporting his campaign, in the form of out of town conservative independent expenditures. I now hear the Koch brothers have decided to throw money into Glazer's campaign. You don't get anymore right-wing than that. I have friends that live in Orinda and they are no party preference independent voters who hate Glazer and the fact that he speaks with a forked tongue out of both sides of his mouth. They trust Susan Bonilla more on middle class issues than the corporate Glazer. They told me just this weekend they will vote for Susan. What do you expect from the union whores. That's exactly why the public is going to keep Second Place Sue in second place. She's a loser, and she has proven it. I had already decided to vote for Mr. Glazer since he's the only clean 'politician' in this race. My neighbor then reminded me that Second Place Sue still has time left on her assembly term. She's greedy. She's decided that she wants the tax payers to spend for yet ANOTHER special election, which is exactly what would happen if she jumped boats to the senate. Let her finish her term and then–G-d forbid–go back to the private sector and work for a living. We don't need yet another special election at tax payer expense. My neighbor is right that Steve Glazer is the best choice in the election. A vote for Steve is a vote against spending for a special election. I am convinced. Steve Glazer is definitely the People's Choice and great for the tax payers, too!!! My family would rather have a moderate woman like Susan who gets her support from unions than someone like Glazer who worked for the corporate elite and has gotten close to 7 million from these extreme conservative out of the District and out of State right-wing groups. Since Glazer raised taxes many times as an Orinda Councilman, he definitely not the People's choice nor good for taxpayers. We will be voting for Susan Bonilla. So, so proud to be supporting our next state senator, Steve Glazer. He is a man of, by, and for the PEOPLE, not the special interests. Come next Tuesday night the union whores are going to say 'Wha happened! We got decimated.' That's right, and the sound of the other shoe dropping, will be the PEOPLE taking back THEIR government from the special interest union whores. Senator-elect Steve Glazer–he's THE PEOPLE'S CHOICE! What hasn't been pointed out so far is that Glazer was almost totally funded by anti-consumer groups. The middle and lower class lost when he won. Our family doesn't belong to a union but I agree that 2016 will bring out more anti-Glazer voters and will probably spell his doom. Usually more progressive candidates win in presidential years. 23% voting in this election will be doubled or tripled in 2016. Those voters will represent the people. Then we will know who the people's choice really is. Glazer will lose in 2016 when more young people will vote along with more progressives. Nadia Lockyer is pregnant; Will Bill bankroll baby’s run for state controller?